Lighting Wallpaper™: Shine your Walls! The Lighting Wallpaper™ is a new design element about to come into your homes, offices, bars, restaurants, lobbys and other places. Light isn’t just emited from bulbs or LEDs but instead your the entire wall can shine brightly. The same warm glow that comes from the iconic Apple logo on the back of your Mac laptop can completely change a room into a futuristic inspirational space with emotional impact ranging all the way from vibrant excitement to calm soul. 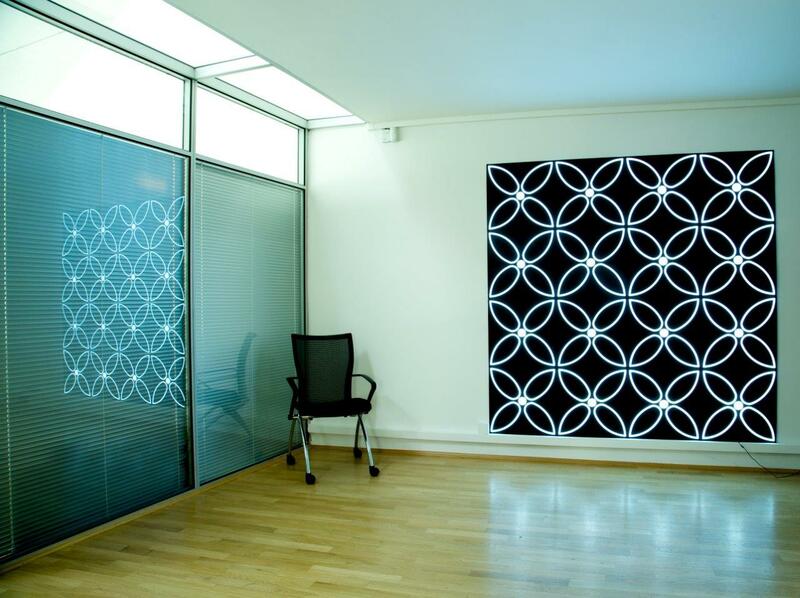 This Ultra-Slim Decorative Element can be quickly added to any Room, Office or Designed Interior and Bring it to Life. The basic tile size has been set up on 50 x 50 cm with a different size of lighting area depending on the wallpaper artwork. This newly invented interior design concept is an absolute ‘must’ for anyone who cares about ‘non-traditional’ design. You can also stay connected via the official LightingWallpaper Facebook Page to ensure you wont’ miss any future update! 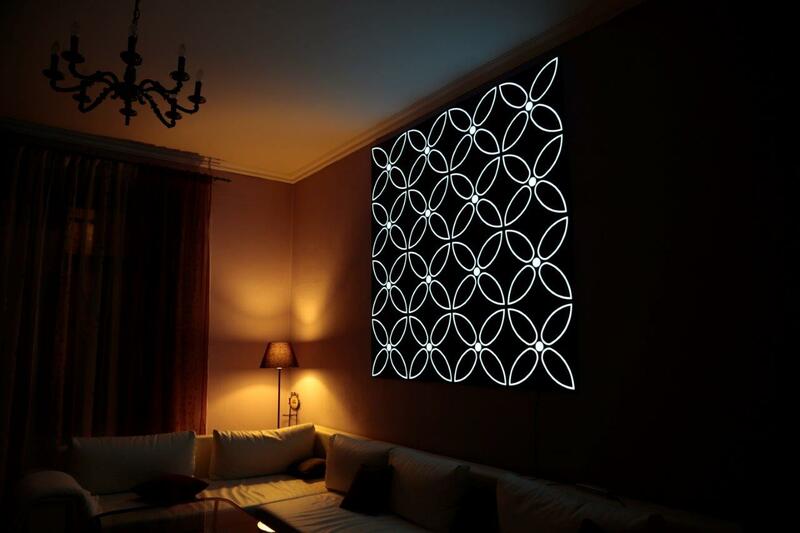 The World’s First Wallpaper Emitting Light!